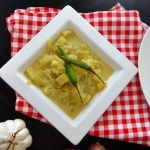 Polos Curry or Polos Maluwa is a Sri Lankan spicy dish popular among most of people. 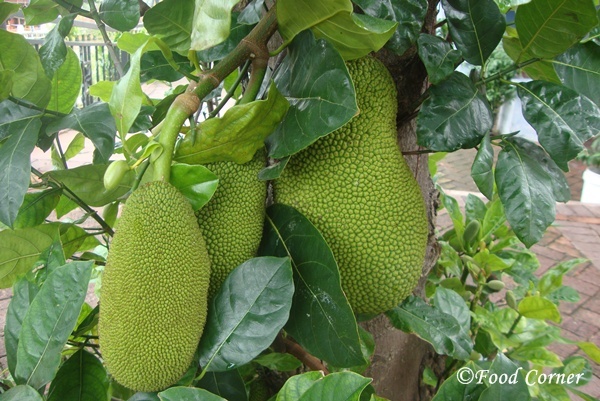 Polos is the common Sri Lankan name for Baby Jackfruit. This is one of our favourites too. 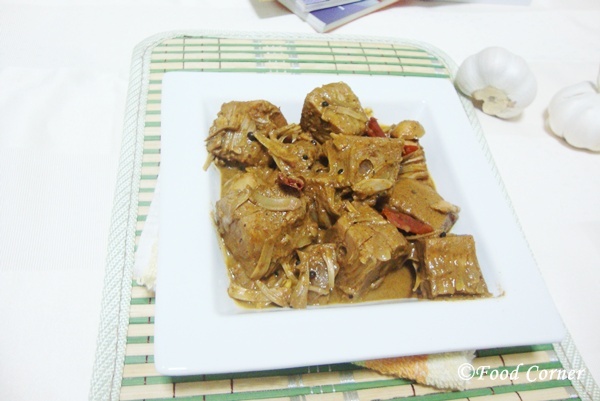 Polos Curry tastes good when cooked with a good amount of spices. Recently I could buy Polos & tried it at home. 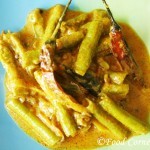 In Sri Lanka, this is mostly cooked in low flame for few hours & in an earthen pot. It is more delicious if it is cooked few hours before the meal. For that, I found my Slow Cooker as the best option. 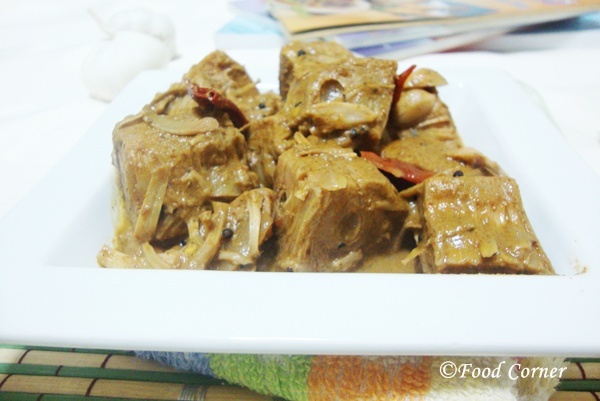 I have tried few more Sri Lankan recipes in Slow Cooker. They all came out good.I will post them soon. 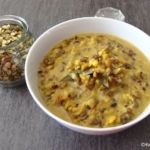 Below is the Polos Curry Recipe with an option of trying it in Slow Cooker.Also check this polos curry recipe which I use grated coconut too in the recipe.It gives a bit different taste.But,we like it.If you look for more polos recipes from Sri Lanka,then try this Polos Achcharu which is one of the popular Sri Lankan Pickle recipes. Dry roast the spice powders until golden brown.Keep aside. Remove the skin of Polos. Cut in to pieces.Cutting of Polos is not an easy process. Mix roasted spices with polos pieces & keep aside. Heat 2-3 tblspn of oil in a pan. Add mustard seeds once oil is hot. When mustard seeds are popping up, add onion, dried chili, garlic, Curry leaves, Pandan leaves(Rampe),Piece of lemon grass (Sera) into the mix. Also add cinnamon, cardamom & cloves. When onions are tender, add the Polos into the pan & mix well. 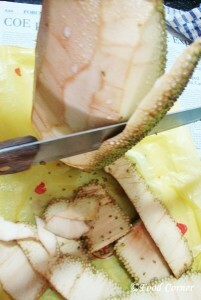 Add thick coconut milk into the mix together with another 1 cup of water. Add goraka or tamarind juice. Add about 1 tspn salt.Mix well. 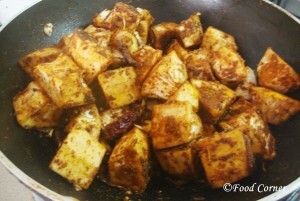 Cook Polos curry in very low flame for about 1 hour or until polos is cooked & gravy becomes thicker. Once Polos curry is ready, you can see oil is separated in the gravy. Polos curry is ready to serve. 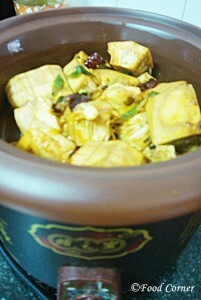 However, this is more delicious if it allowed to rest for few hours before serving. 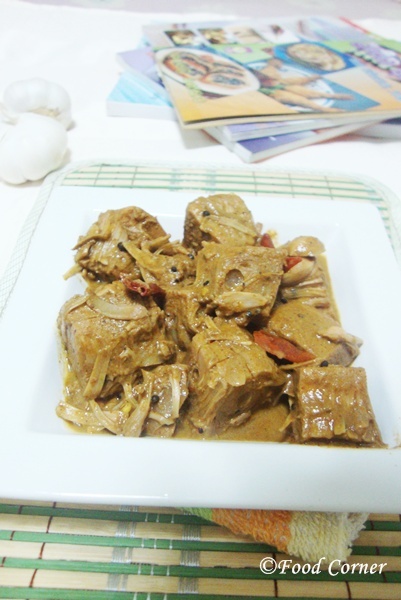 Polos curry is ready to serve. Please help to make them smile! thanks Veena,this is one of our favourites…. i just love it.. looks tempting..
thanks,this is one of our favourites…. Jack fruit is something I haven’t tried cooking with yet. We make something similar in Kerala as well 🙂 Looks great! Very interesting curry,quite new for me. 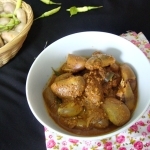 Sounds very delicious…Never tried curry with Jackfruit…Love to try this!!1Bookmarked! We used to eat this often during my childhood as we had a huge Jak tree in front of my parents home.Gone are the days….I miss this dish now. Thanks for sharing. Great tips. Unfortunately i can’t get hold of a fresh jackfruit in Vancouver, BC but am gonna try it with a canned one. thanks for the comment,hope you’d try this and canned one will be helpful to taste a delicious polos curry…. I always follow this recipe when it comes to polos. No complications easy and it tastes good. Tnx a lot for sharing. Thanks Dinushi for sharing your experience.Glad you like the recipe….